A little while back I announced that I am starting a new conference called the Open Community Conference in conjunction with my friends at the Linux Foundation. 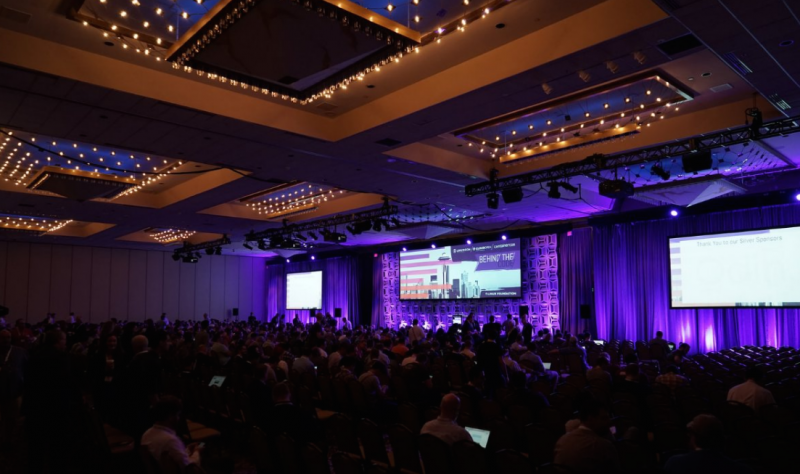 Put simply: the Open Community Conference provides a raft of presentations, panels, and BoFs with pragmatic guidance for building and engaging productive communities. While my other event, the Community Leadership Summit provides a set of workshops for community managers to shape community strategy, the Open Community Conference presents easily consumable and applicable best practice for organizations and practitioners. It is an ideal event for those of you who want to learn pragmatic approaches for how to evolve community strategy with your products/services. The Open Community Summit is one of the major events as part of the Open Source Summit in each location. I am delighted to share that the schedule for the Open Community Conference in Los Angeles is now available here. There are many more sessions as part of the schedule too, covering a diverse range of areas. I will also be delivering a keynote and an additional session called Building Predictable Community: Strategy, Incentives, Value, and Psychology. I will also be running a webinar on Monday 24th July 2017 at 9.30am Pacific where I will talk about the conference and answer questions about community strategy. 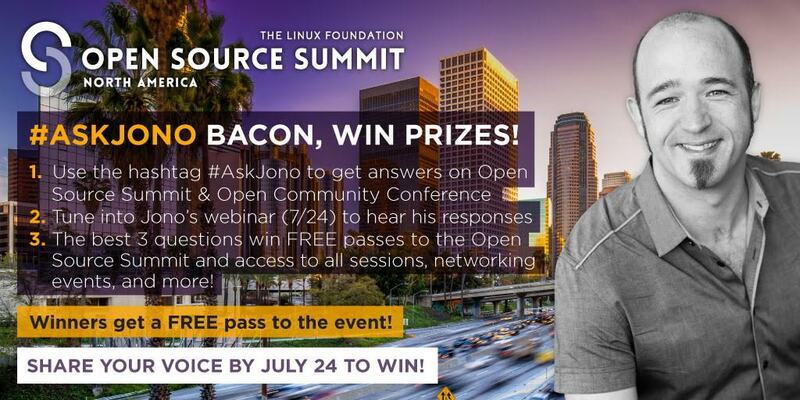 Also, (and as a sneak peek, it hasn’t been announced yet 😉 ), if you post questions to me on Twitter with the #AskJono hashtag about community strategy, leadership, open source, innersource, or the conference, you can win 3 free tickets to the event (including all the sessions, networking events, and more). All of the questions will be answered on the webinar. Go and sign up for the webinar here! Finally, for the Open Community Conference in Europe, the Call For Papers closes on Sat 8th July 2017 (which is tomorrow as I write this). If you are interested in sharing your pragmatic experience and recommendations about building powerful, productive, engaged communities, go and submit your your paper here. UPDATE: the CFP is now closed.